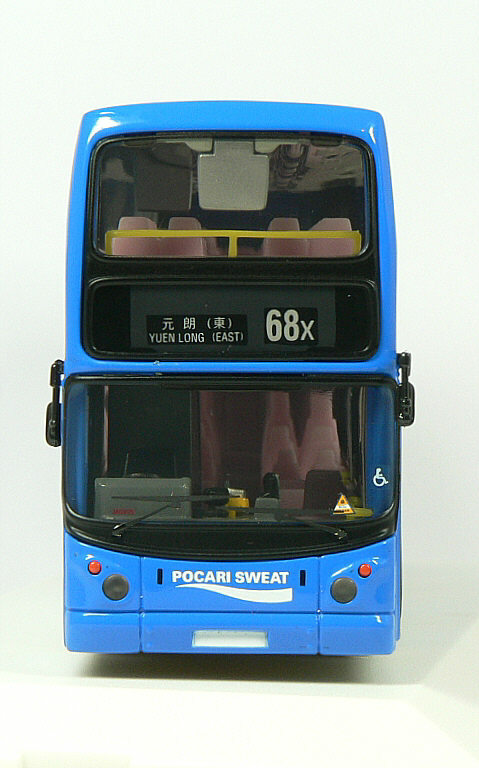 The model - details of this model were first published on this site on 1st September 2005, thanks to Dennis Law and Philip Chan. 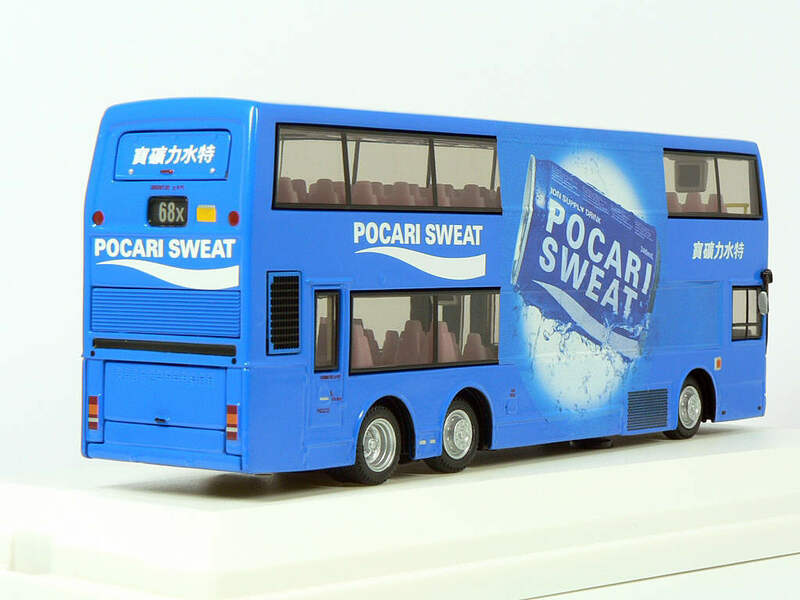 This Volvo Super Olympian is in Pocari Sweat's latest advertising livery. 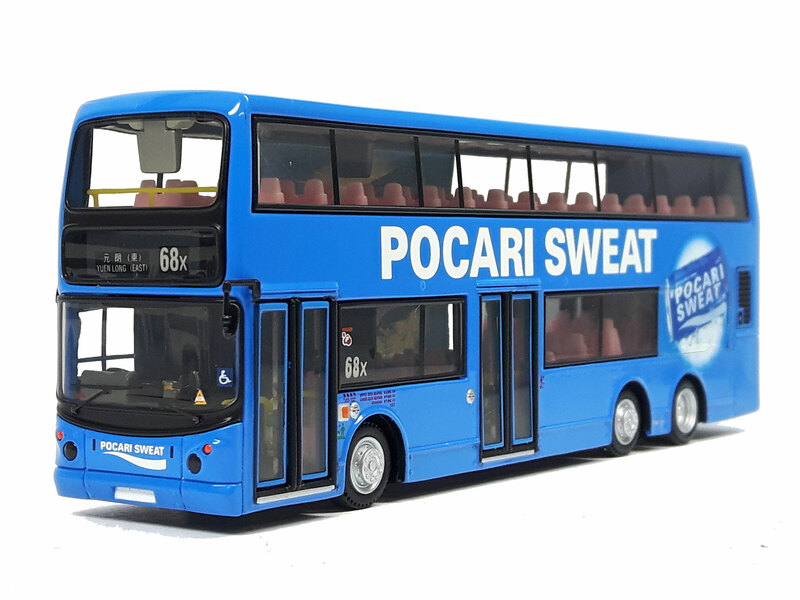 It was announced that consumers buying two Pocari Sweat items at any Circle-K Convenience Store between 1st September 2005 and 28th September 2005 were eligible for a lucky draw, of which the lucky winners will receive this model. 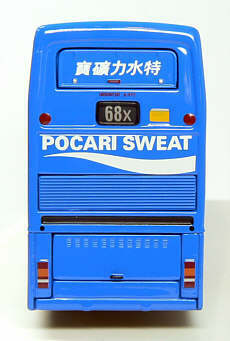 The first prize models became available in early October. 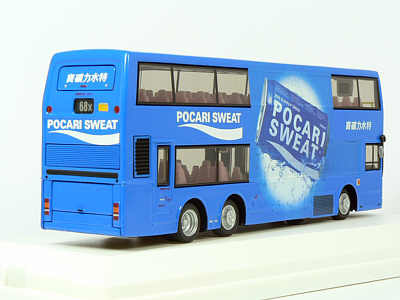 The model has blank white and yellow registration plates, but decals of JF9127, (the registration number of the actual Pocari Sweat KMB vehicle) are included for the owner to apply. 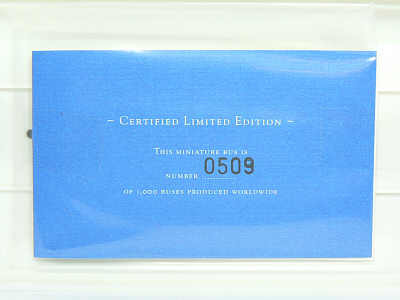 A limited edition certificate shows a quantity of 1,000. I am very grateful to Ailsa-B55, who kindly provided the above information. 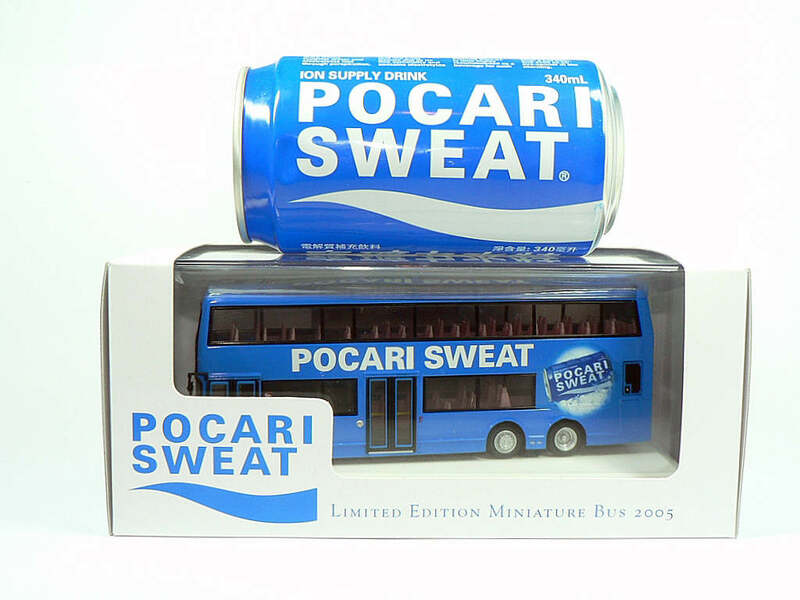 My special thanks also to Pocari Sweat of Hong Kong for kindly providing me with a complimentary model during my stay in Hong Kong in February 2006. 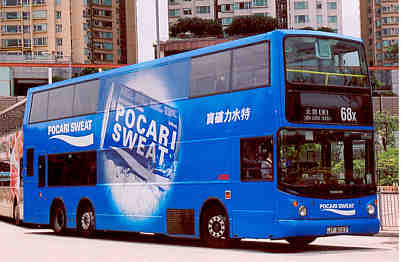 Pocari Sweat is a popular Japanese soft drink. It is a mild-tasting, relatively unsweet drink, much like other Japanese soft drinks. 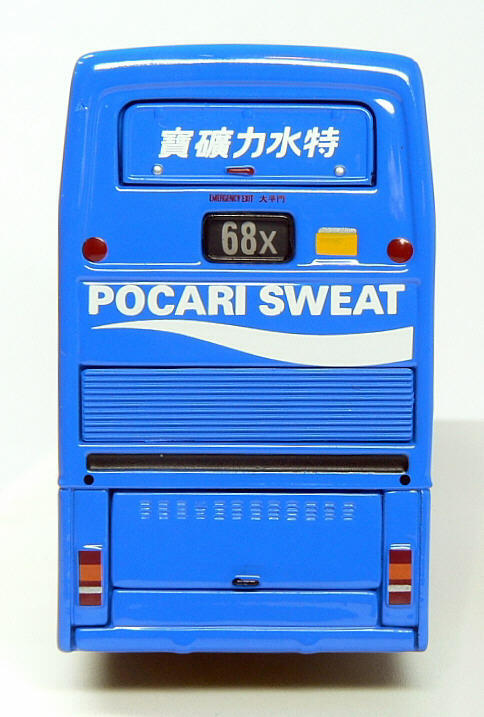 The bus - the model is based on Kowloon Motor Bus fleet number 3ASV35, registration JF9127, which entered service in October 1999, being one of a total batch of almost 500 such vehicles. It received this new Pocari Sweat advertising livery in 2005.